This is a class that I taught at Sparkle N Sprinkle last week. 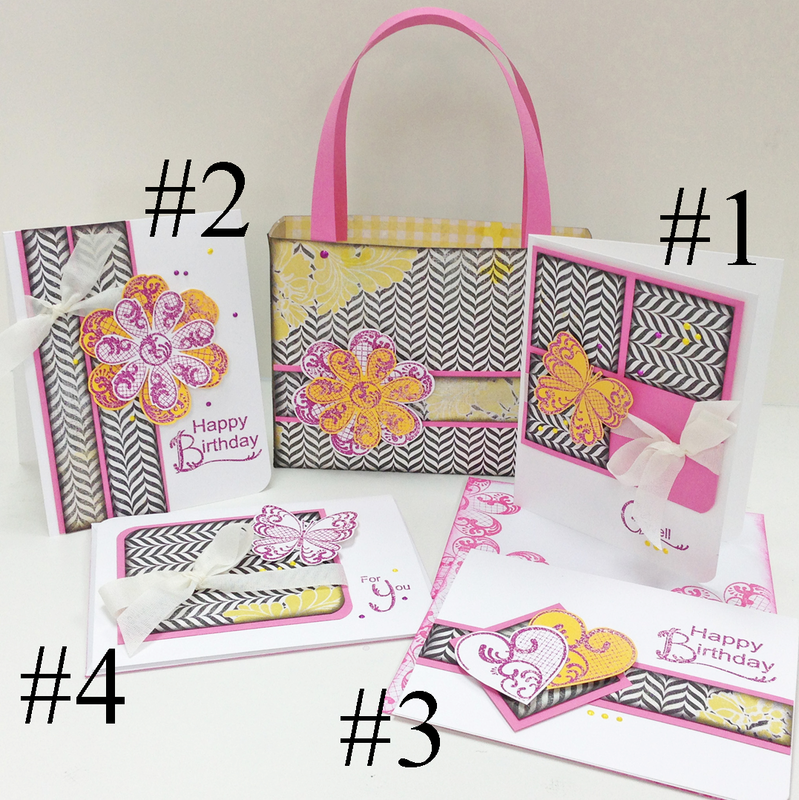 A One Sheet Wonder (OSW) uses1 12 x 12 Authentique Paper and it is cut up to make a variety of cards or in this case cards and purse! I also used the new Marbled Embossing Powder Bahama Mama, and the new stamp set Swirls by Beccy Muir. The yellow images are actually the Mango Lemonade Memories Mists and stamped and embossed over, and the dots are Liquid Pearls. Here is the template if you are interested in making it yourself!